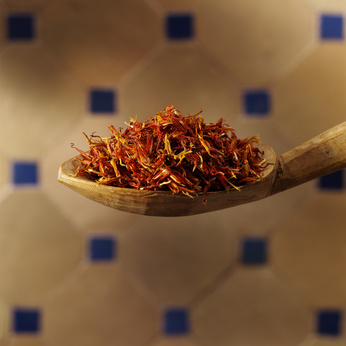 My Husband's Cancer & Starting Over: Saffron - Does It Work? I received a message today from a viewer who asked if saffron really helped my husband's cancer. To be very honest, I don't really know, but I do know that it didn't hurt him. When he was on saffron his tumors did NOT increase in size - was it a coincidence? I really don't know that either, but drinking a cup of saffron a day, or maybe even two or three will not hurt. I would use approximately 5-12 strands, let it steep like tea for a few minutes and then strain off the strands. I'm sure it is more beneficial to a cancer patient than drinking coffee several times a day. My husband still has a cup of saffron from time to time, but right now is not taking it on a continuous basis - no particular reason for this but he will go back to a regular routine before his doctor schedules his next CT.
Again, I would suggest that you should always check with your doctor whenever in doubt to ensure you have a professional's opinion. Tried the saffron and even though the taste is terrible it gives me hope. Why not try it? Saffron was able to shrink the tumor in the body.